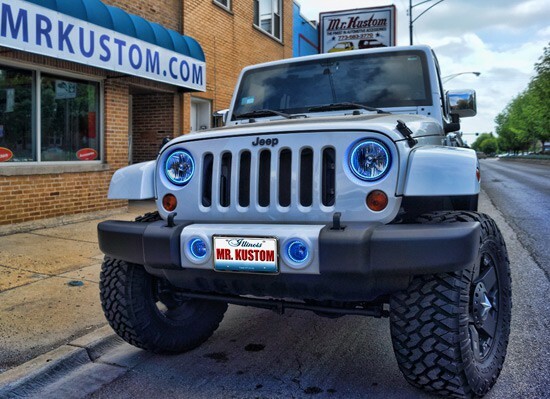 Multi Color Halo Lights & Multi Color LED Lights was added to this 2012 Jeep Wrangler. 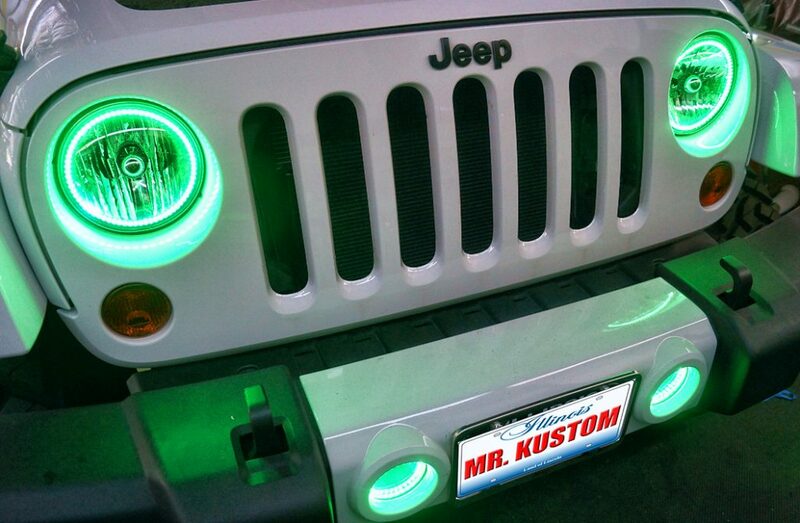 The Multi Color Halo Lights & LED Lights are all controlled by a wireless remote and the option to have them go to the sound of the music. 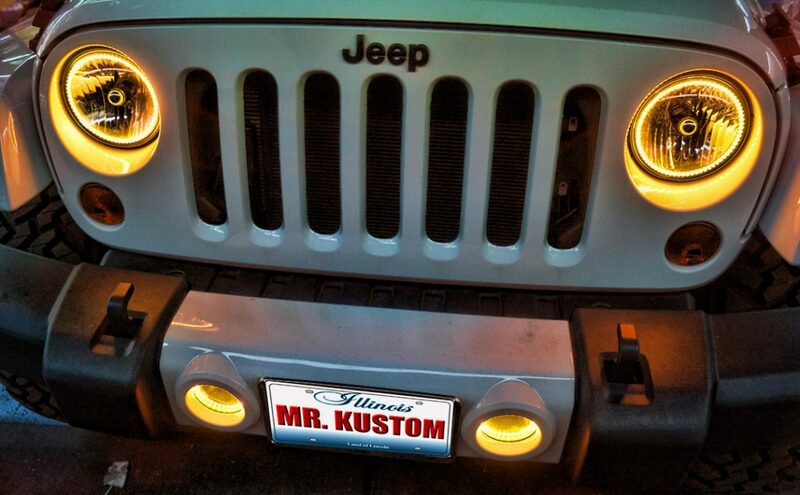 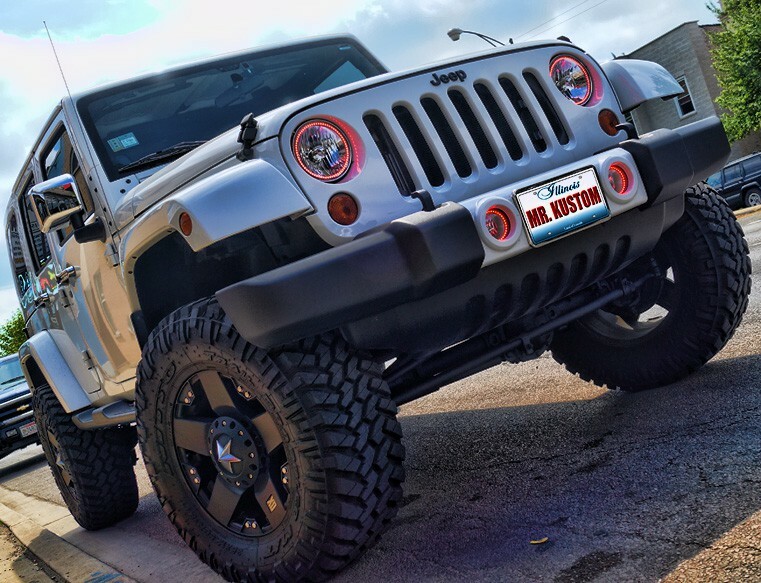 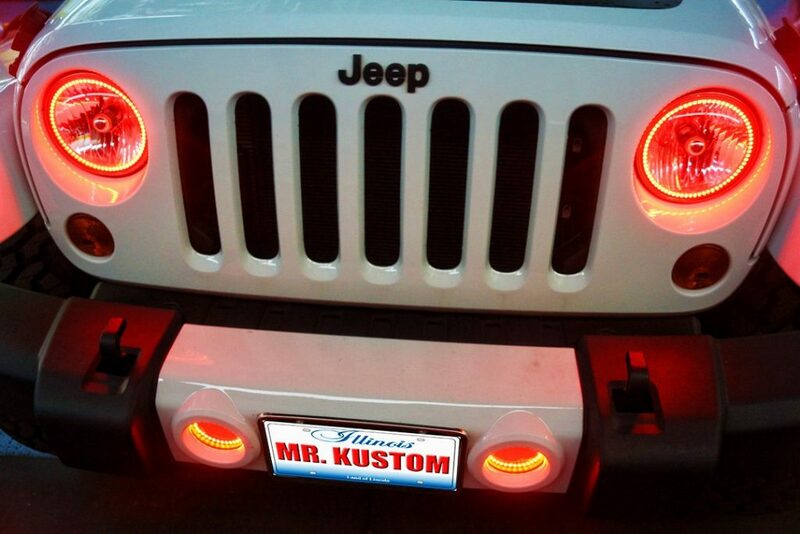 Multi Color Halo Lights were added to the headlights and fog lights of this 2012 Jeep Wrangler. 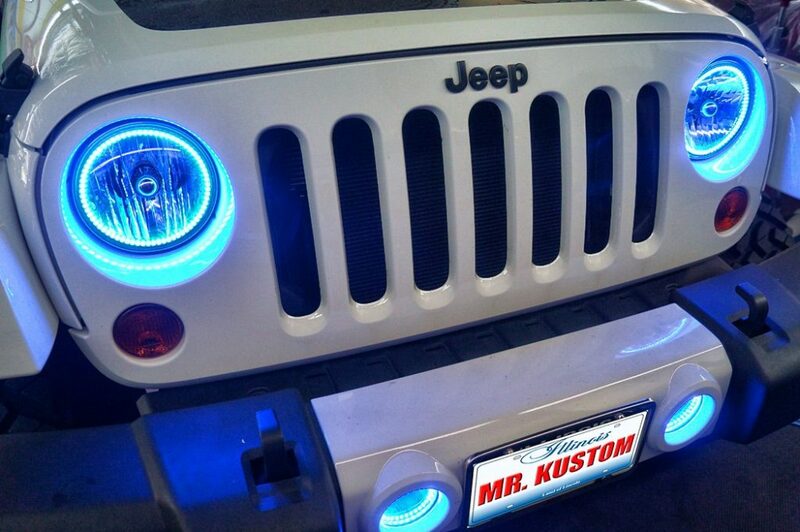 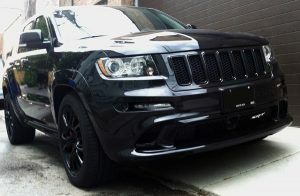 To accompany the multi color halo lights, multi color LED Lighting was added to the grille, under-body and interior. 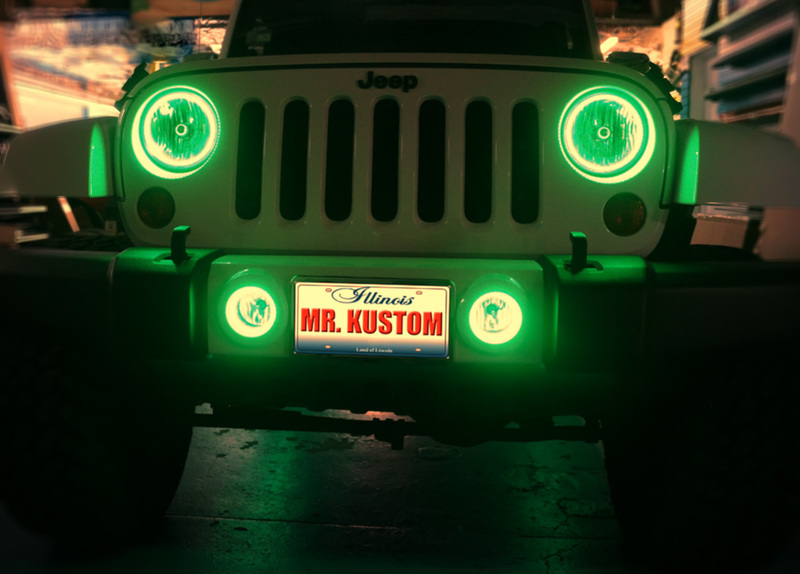 By adding these lights to this vehicle really makes it pop at night! 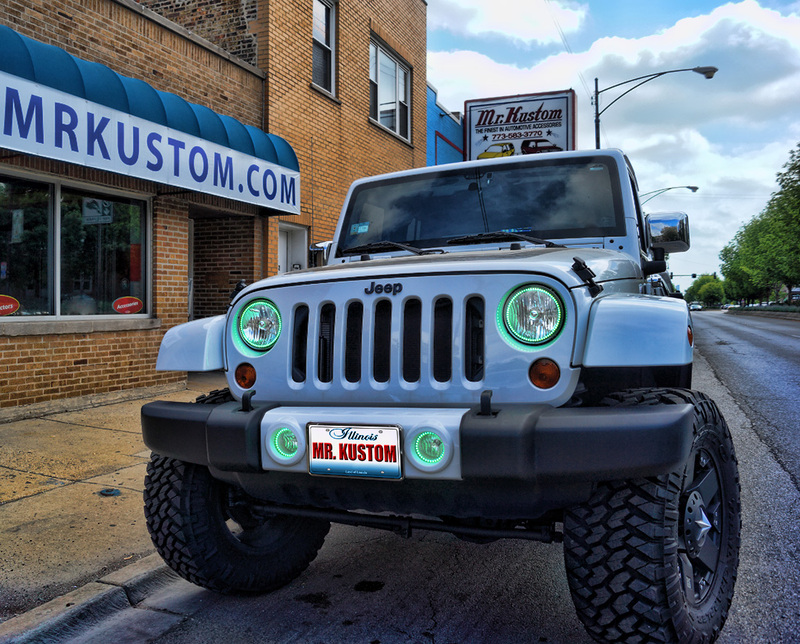 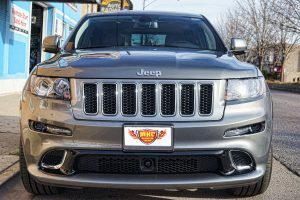 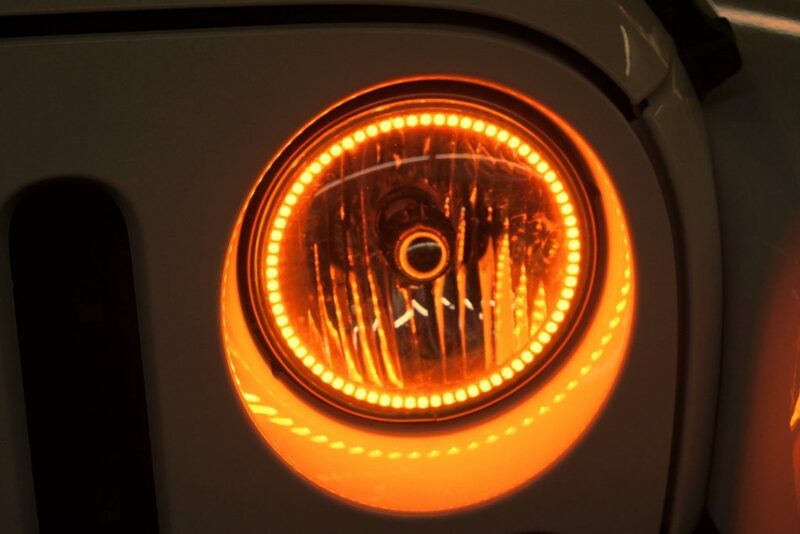 If you’re interested in have halo lights added to your vehicle, please call 773-583-3770 and speak to any of our specialists. 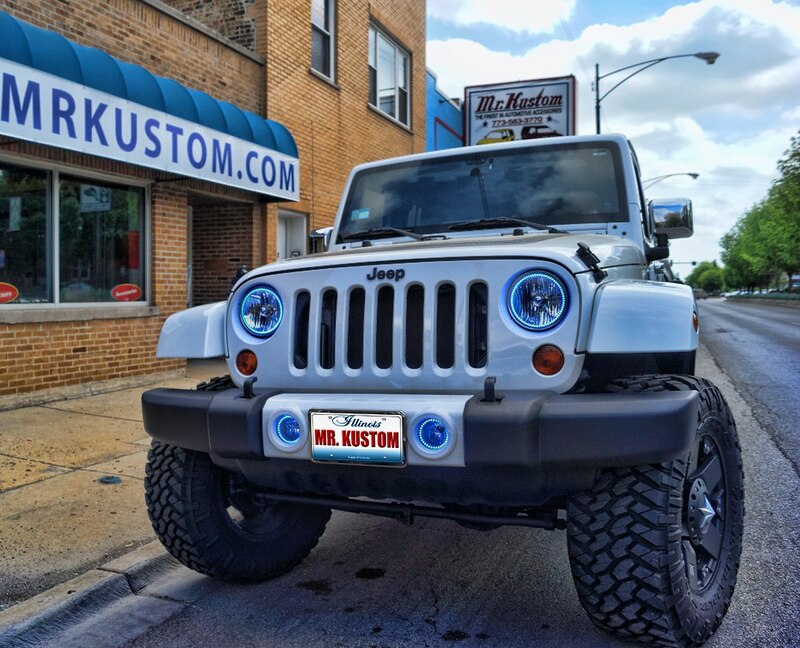 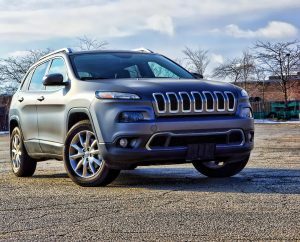 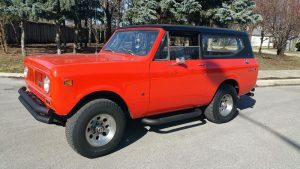 With over 3 decades in the automotive customizing world, there isn’t a job too big or too small!